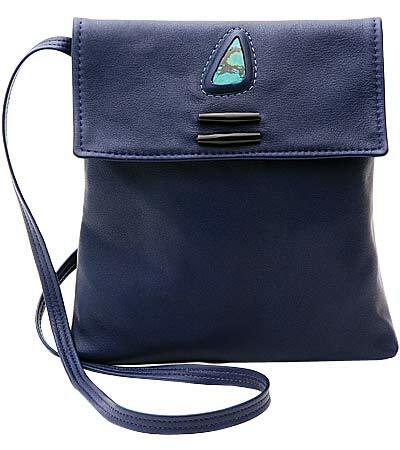 This bag features a genuine stone inlay over 2 horn or bone beads. Flap lined in luxurious pig suede. Adjustable strap up to 50"